We are working with circles of teachers to identify and help such students. This program was incubated by three school teachers who had interest in educating the poor students of government school. Since 2011, ​till date Stationery Campaign has supported 6,900+ students around 30 schools within the valley. In 2011, helped 1040 students in 31 schools. In 2012, helped 998 students in 30 schools. In 2013, helped 525 students in 25 schools after giving priority to teachers, schools and parents who are willing to contribute 10% of the cost in the spirit of ‘shared responsibility’. In 2017, we distributed stationery to 830 students form 12 government schools. For pictures click here. In 2018, we distributed stationery to 600 students form 10 government schools. For pictures click here. Rs. 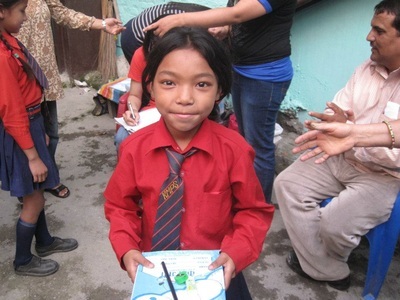 3,000 can provide notebooks needed for an academic year to 10 students. All 100% of donations reach the children. Domino effect of stationery program: Most children come from migrant families who are often surviving hand-to-mouth; they come without sufficient notebooks to do their classwork and homework, often re-using the same notebooks once the pages are used up (which they did by erasing notes from their notebooks, which would often tear the pages) such that they do not have access to the entire course material to review for exams. 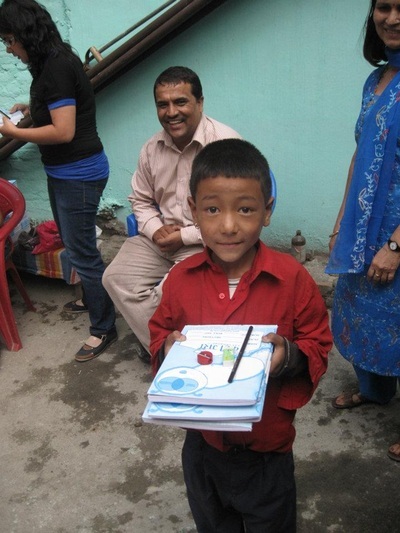 When such students receive notebooks, they are visibly excited and they naturally take good care of their new gifts. What is surprising is that they start to take better care for other items too, like putting cover for their textbooks, keeping their uniforms tidy etc. They even improve their classroom participation. Some teachers were so excited at seeing positive changes in the students that this has themselves have set up their own micro-fund to buy stationery for the poorest students. Many students are too poor to purchase notebooks to write on. They go to government schools because these schools are free, and provide textbooks for free. 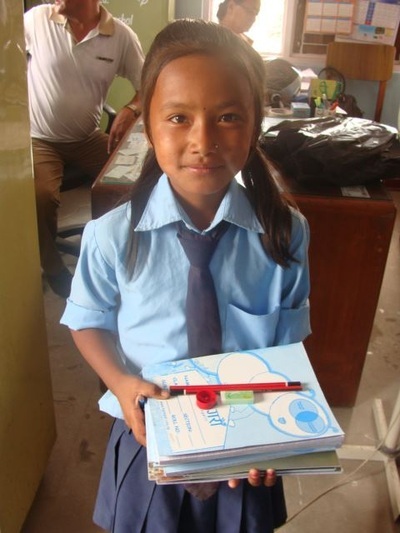 However, students are required to purchase their own notebooks and stationery, but many are unable to afford them. These students cannot take notes in classroom, do their homework or revise for exams. Hence, they are uncomfortable and embarrassed to be in school, and will drop out at the slightest excuses. Igniting the Interest to learn: After the stationery program started, these same students are actively participating in their education by dramatically increasing: 1) their attendance, 2) their class participation, and 3) completion of their homework. Overall student performance has improved exponentially as noted by the teachers. The Multiplier Effect among teachers: In the beginning, neither Kehi Garoun nor teachers expected that stationery would result in change in behavior. Yet, teachers have witnessed many students, who used to spend their time loitering, smoking and even consuming drugs, completely change their behavior and become some of the most regular attendees and active class participants. Perhaps they were touched that their teachers cared for them enough to get them notebooks, or perhaps they were no longer ashamed to turn up to school. Whatever the reasons, their change in behavior has been surprisingly positive. In fact, so impressed are some teachers by the change in students’ performance, that these teachers have started setting aside small amounts from their own income to buy stationery for needy students. It doesn’t end there. The improved performance and attention of the students has motivated teachers to pay more attention to the other needs of students. This has resulted in additional beneficial initiatives such as health camps, dental camps, purchasing of eye glasses, shoes and other items, for various students with specific needs.